TLA engaged Brenda Thompson Communications to create a bold public relations plan to encourage Texas legislators to restore some of the devastating funding cuts made to libraries, to demonstrate the widespread support for libraries, and to inspire participation by Texas Library Association members. For the first time in 40 years, the association’s annual conference was being held in the state capital–providing an ideal opportunity to involve members in a grassroots effort. 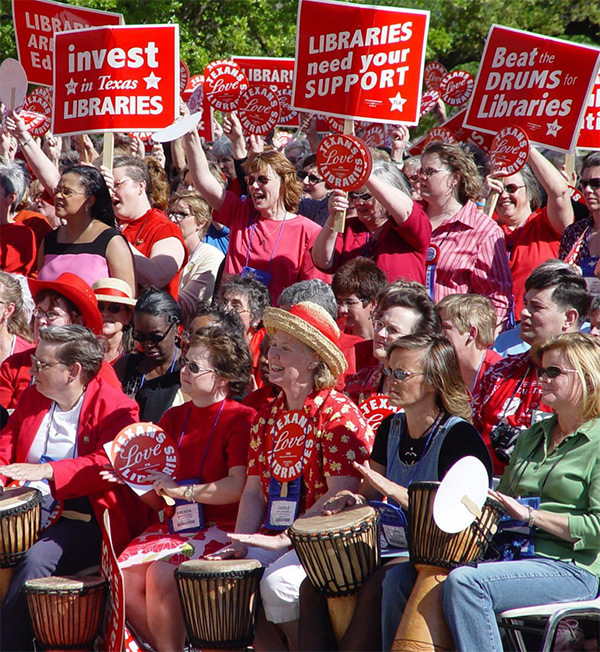 The idea for the Rally for Texas Libraries was born, with the theme “Get Texas Libraries Out of the Red!” Brenda Thompson Communications planned a six-month public relations campaign to create a drumbeat of support leading up to the first rally on April 6, 2005. Tactics included communications with key legislators, editorial board meetings at the state’s major newspapers, a series of news releases and story pitches, and using the association’s communications tools to motivate members. The Rally itself presented the most exciting opportunity of the campaign to “Get Texas Libraries Out of the Red!” The event was designed to be dramatic and visually appealing to broadcast media and news photographers. The Texas State Capitol served as the backdrop for speakers, who looked out onto a sea of red-wearing, sign- and banner-waving librarians. The figurative drumbeat became real as Drum Café warmed up the crowd, 100 of whom were provided with drums to create a beat for cries of “Get Libraries Out of the Red!” Speakers led the crowd in chants and cheers, and the crowd responded, spontaneously waving signs, stomping their feet and generally refuting the myth of “quiet” librarians. The proposed 5 percent cut to Texas library funding was rescinded and additional funds were appropriated. Attendance at the Rally was more than 2,300 people. A total of 161 print articles (including editorials) on library funding issues, the Rally, and the TLA conference were published. 77 broadcast media stories (television and radio) of the Rally and conference totaled more than two hours. 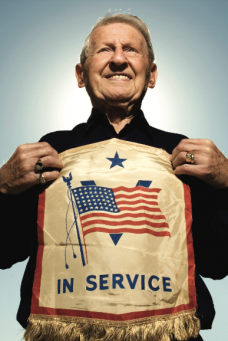 American Libraries featured the Rally on its cover (June/July 2005). Four Texas legislators spoke at the Rally and several more attended the Rally and the reception. Yet some of the other, less tangible positive consequences of the “Get Libraries Out of the Red!” campaign reverberated for years to come. The Rally in 2005 was so successful, TLA hired Brenda Thompson Communications to put on a similar event during the legislative session in 2011.